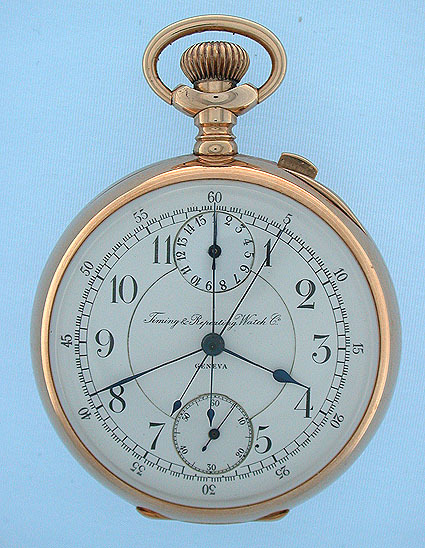 Fine 14K gold split second chronograph with register by Timing & Repeating Watch Co., Geneva, circa 1885. White enamel dial with subsidiary dials for running seconds and elapsed minutes. Blued steel hands. Substantial plain polish gold case. 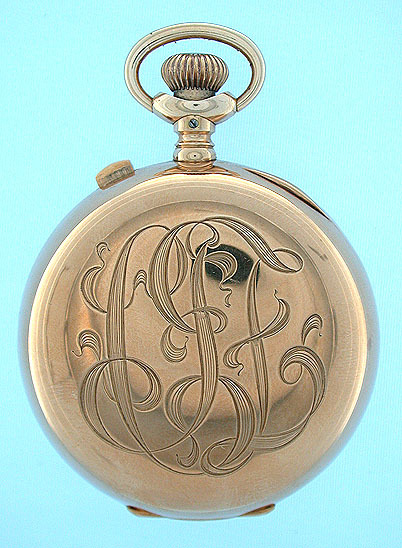 Nickel 22 jewel movement with precision regulator and visible chronograph works. This watch can time two events. 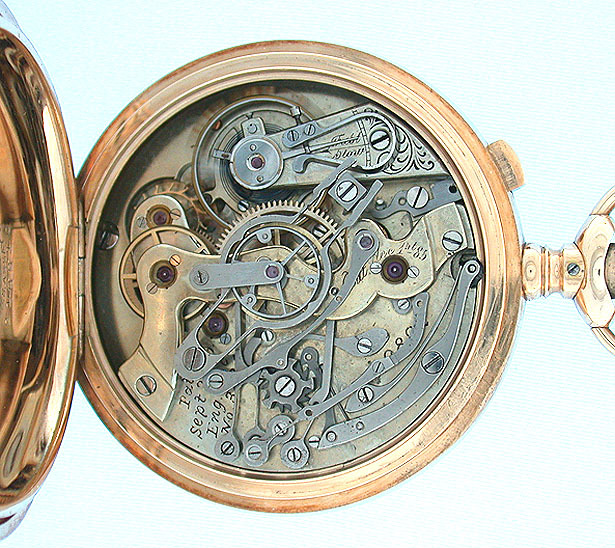 Waltham used the same movements for their chronographs.